Rudy Perez, 30, of East Main Street , Riverton, Wyoming, formerly of Providence, Rhode Island passed away on Saturday, January 5, 2019. 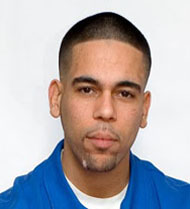 He was the beloved son of Paula DeJesus Perez Guzman and stepson of Alberto Martinez of Johnston, Rhode Island. He was born in Brooklyn, New York on April 21, 1988. Rudy was raised in Providence, Rhode Island, and attended Cranston West High School. He earned his GED and relocated to Vernal, Utah, where he obtained an Electrician license. In 2016 he moved to Riverton, Wyoming. Rudy was employed as an electrician with Tri Phase Electric. Rudy was a motorcycle enthusiast. He enjoyed cars, his pets and going to the ocean. He was a caring person with a great sense of humor, bringing laughter and joy to everyone in his company. His greatest joy was spending time with his family and friends. Besides his mother and stepfather, he is survived by three brothers, Nelson Rivas and his wife Joselyn of Johnston, RI; Raul Perez and Ruben Perez both of Johnston, RI; one sister, Maribel Rivas and her husband Juan Ramirez of Cranston, RI; a maternal grandmother, Rosa De LaCruz Guzman of Santiago, Dominican Republic, numerous aunts, uncles, cousins, nieces, nephews and friends. His funeral and celebration of life will be held on Saturday, January 19, 2019 from 1-4 in the Stapleton Family Funeral Home, 684 Park Avenue, Cranston, RI.